Beijing stands ready to join the international body for negotiating an Israeli-Palestinian peace. 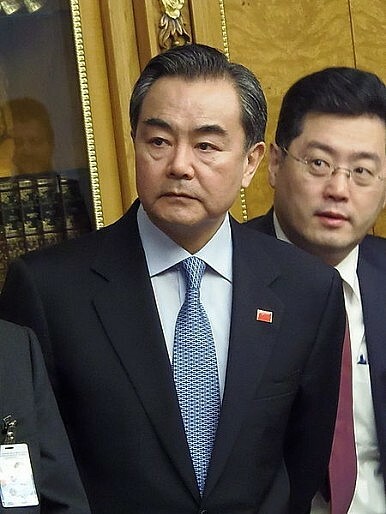 China is ready to join the Middle East Quartet to help negotiate a peace agreement between the Israeli and Palestinians, according to the country’s foreign minister. The Middle East Quartet comprises the U.S., Russia, the EU and the United Nations, with former British Prime Minister Tony Blair currently serving as its special envoy. It was created in 2002 in the aftermath of the Second Intifada as a mechanism to jump start peace talks between the Palestinians and Israelis. Still, China joining the Quartet would be important symbolically, and would almost certainly raise its diplomatic stature, particularly in the Middle East. It could also serve as a useful testing ground for the United States and China’s pledge to form a “new type of major power relationship” based on cooperation and mutual respect. Under President Xi Jinping, China has sought to increase its role in the Israel-Palestinian issue. Last spring China simultaneously hosted Palestinian President Mahmoud Abbas and Israeli Prime Minister Benjamin Netanyahu in China, although the two leaders did not meet while they were in the country. During the visits, Xi outlined a largely unimaginative four-point proposal for resolving the long-standing dispute, which Wang said had been well-received in the region during his interview with Al Jazeera last week. In interview with a Hong Kong newspaper last year, Wu Sike, China’s special envoy to the Middle East, said that the U.S. had been lobbying China to get more actively involved in the Middle East peace process, although he did not say whether Washington specified exactly how it saw Beijing cooperating. It’s possible, then, that Washington would endorse China joining the Quartet. However, the group is already notoriously divided on core issues, a problem that would only be exacerbated by additional states’ participation. Since taking office last year, U.S. Secretary of State John Kerry has worked tirelessly on the long-standing dispute between Israel and the Palestinians, making 10 visits to the region in less than a year. Although he managed to get the two sides talking again after a long silence, most analysts see little hope in a comprehensive peace agreement being reached in the foreseeable future. Indeed, on Tuesday an Israeli newspaper quoted Defense Minister Moshe Yaalon as saying, “Secretary of State John Kerry – who has come to us determined and is acting out of an incomprehensible obsession and a messianic feeling – cannot teach me a single thing about the conflict with the Palestinians…. The only thing that can save us is if Kerry wins the Nobel prize and leaves us alone.” His office later issued an apology following criticisms from the U.S. and Israeli Prime Minister Netanyahu. A previous edition of this article mistakenly identified Tony Blair as the former Foreign Minister of the UK.